We are honored to serve our clients and to have them respond so positively to our efforts. Here you can see what they have to say about New Horizon Foods in their own words. New Horizon Foods have been with us for the past 8 + years. Their ability to provide management, budget review, food preparation support and special events has been fabulous. We are so pleased with our working relationship and believe that they truly are a partner with us in providing the best quality options for our residents, families, visitors, and staff. 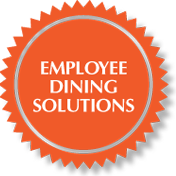 New Horizon Foods contribution to the operational excellence of Retirement Communities has not only provided significant satisfaction for our customers but has also allowed us to be a model of special services in our food service department. From the owners to the regional directors to the onsite managers, everyone connected to New Horizon Foods had made us their priority. I highly recommend New Horizon Foods to become a partner with your organization. Our work is focused on innovation, empowering our customers and honoring those we serve. We call it “Our Way.” New Horizon Foods has been a valuable partner in helping us integrate “Our Way” into our dining experience. For example, our customers told us that they want their meals on their schedule, not our schedule. New Horizon Foods worked with us so that we are meeting that customer’s desire and truly making dining an “experience,” not just a standard part of the day. New Horizon Foods also has been a partner in the area of wellness, creating healthy meals that also taste good, and best of all, are enjoyed by our customers. Food is such an integral part of building a community in which people enjoy calling “home.” And New Horizon Foods is playing an important role in helping us fulfill our mission of creating home and choice for the people we serve. We have had the pleasure of working with New Horizon Foods for many years. New Horizon’s emphasis on providing quality, nutritious and interesting meals is the hallmark of their service. We particularly appreciate their spirit of collaboration in meeting the needs of our clients. I would recommend New Horizon Foods without hesitation. The Village is the largest aging services provider averaging just less than 45000 resident days per year. As our turn-key food service provider, New Horizons serves more than 150,000 meals each year. Staff morale is critical for success in any service industry. Moreover, consistently high employee morale requires consistent attention to details. New Horizon Foods provides that attention. Upon hearing that my new community was using a food contractor to provide my dining services, I admit I was very hesitant about the idea. As an Executive Director, I was accustomed to hiring and having as a direct report the person who ran my operations. As I met with New Horizon’s co-owner, he shared his company’s philosophy and the assurance of teamwork between our organizations. It has been that and so much more. Very positive experience, especially with a start-up community. New Horizon provides leadership and understands the quality of service my residents deserve. There is a flexibility to adapt to the needs of my residents, a commitment to service and a watchful eye on our expense. The New Horizons Management Team and Staff provide food service to Assisted Living and Independent Living communities. We believe that food presentation, quality, and service are key ingredients that set us apart from other retirement communities in the area. Early on in the sales process I will encourage prospective residents and families to plan a visit around a meal so that they are able to experience the food and ambience that New Horizons provides us. I am proud to show these prospective residents what we have to offer. I am confident that my expectations will be carried out by the New Horizon Staff and they will exceed the prospects expectations as well. For most senior’s, eating is the main activity they do on a regular basis. New Horizon’s understands that and helps us provide a positive atmosphere where residents enjoy good food and conversation. New Horizons strives to accommodate the diverse wants and needs that live here. I understand that pleasing everyone all the time is a challenging task. New Horizons handles requests and criticisms with the utmost care and professionalism. I am proud of the staff we have. They are professional, courteous, and fine examples of what it takes to be team players. They frequently ask Keystone residents and staff what they can do to improve the dining experience. I recommend New Horizons for the ultimate dining experience in retirement living. I have worked with New Horizon Foods for over a decade. It has been my experience that the onsite managers and staff have consistently strived to do the best job that is possible. The dietary staff, although a contracted service, have worked as partners with the other departments in meeting resident needs. I have found the New Horizon staff, at every level, promptly responsive to resident and family feedback and requests. I am proud to say that our community has gone five years without a Dietary Services annual Minnesota Department of Health annual survey deficiency.